Pitcher Kris Johnson, formerly of the Minnesota Twins, has found success playing ball in Japan for the Hiroshima Carp. He began the year running his record to 4-0 with an ERA of 0.71. He’s no longer undefeated, but he still has a record of 7-3 with an ERA under 2.50. Victor Starffin won 300 games in Japan. 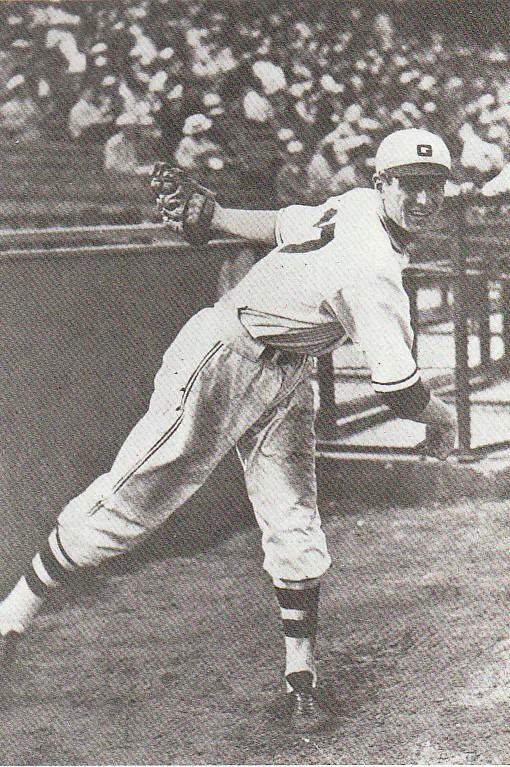 Johnson is just one in a long line of foreign ballplayers who have landed in Japan and played well in a country that has been home to professional baseball since the 1930s. And the same goes for Japan, producing a recent crop of quality players who have made a big splash playing ball in the U.S. The first to do it from Japan was Masanori Murakami, a relief pitcher who pitched the parts of two seasons for the San Francisco Giants at the end of 1964 and all of 1965. But it wouldn’t happen again for a baseball player from Japan until pitcher Hideo Nomo broke the mold in the early 1990s and joined the Los Angeles Dodgers. Nomo’s success was followed by several well known names, including Ichiro Suzuki, Hideki Matsui, Kazuhiro Sasaki and Hiroki Kuroda. To play professional baseball in the U.S. is to reach the pinnacle of the game. To play in Japan… well, that’s likely viewed as a demotion for the foreign ballplayer, but it’s also a chance to earn decent money, resurrect a career and play in a competitive league. –Wladimir Balentien: Fans of the Seattle Mariners will be shaking their heads at this one. Balentien, who hit 12 home runs for the team over three seasons, is the single-season home run champion in Japan after he hit 60 home runs in 2013, breaking a record previously held by all-time home run king Sadaharu Oh, among others. –Tuffy Rhodes: Karl Derrick Rhodes, also known as “Tuffy,” bounced around the major leagues for six seasons, hitting .224 with 13 home runs. But after landing in Japan in 1996, he blasted 464 home runs over the next 13 seasons, including 55 home runs in 2001, which tied the single-season mark for home runs in Japan until it was broken by Balentien. Fifty-five home runs in a single season was first set by Oh in 1964. Oh, lest we forget, slugged 868 home runs in Japan over 22 seasons for the Yomiuri Giants. –Randy Bass: To know Bass is to know God. I don’t know how else to put it, especially for those in the Osaka area of Japan where he was absolutely revered. I spent my 20s in Japan and I’ll never forget being asked, on more than one occasion, if I knew Bass. Do you know Bass? Do you know Bass? Do you know Bass? they asked. Unfortunately, I did not, but they were happy to explain. Bass, like Rhodes, accomplished very little during six seasons in the majors, but then he signed on to the Osaka-area Hanshin Tigers and had a season for the ages. In 1985, Bass hit .350, slugged 54 home runs and drove in 134 runs, all of it resulting in a Tigers’ championship. –Wally Yonamine: Yonamine, a Japanese-American born in Hawaii, was the first American to play baseball in Japan. He hit better than .300 over 12 seasons for the Yomiuri Giants, mostly during the 1950s. He also later coached and managed in Japan. Yonamine was inducted into the Japanese Baseball Hall of Fame in 1994. –Victor Starffin: Starffin’s story is one of the most interesting in the history of Japanese baseball. Born in Russia in 1916, a year before the Russian Revolution, Starffin’s family fled the country and eventually settled in Hokkaido, Japan. Starffin took to baseball in school and later became a star pitcher for the Yomiuri Giants. He was the first pitcher to win 300 games in Japan, including 42 wins in 1939. He died in a car accident in 1957. Starffin was inducted into the Japanese Baseball Hall of Fame in 1960.